It was a silent tsunami in Japan that was the telltale sign of the ‘the really big one’, off the coast of the USA. It was the beginning of the construction of a nuclear power plant that put things in motion. Only, there was this law that said you had to do a hazard’s review. Now the Washington Public Power Supply System (WPPSS, pronounced Whoops! ), knowing that there was a sub-duction zone 30-60 miles off shore, claimed it did not have dangerous earthquakes, it had “creeps”. Micro-earthquakes that took the pressure off the fault line. The review was dropped into the lap of Thomas Heaton of the USGS, who had no idea of what the risks might be (he was located in Southern California). He decided, in something this big (a nuclear power plant), he needed to play the devil’s advocate… and actually LOOK for previous earthquakes, before the 200 years of recorded western history. We humans are such funny creatures, as we consider ourselves to be incredibly intelligent, and yet we insist on believing the world we live in right now is how it was and will be, negating natures ongoing attempt to disillusion us from that fantasty. Now the largest known earthquake EVER recorded, 9.5 occurred in Chile in 1960, devastating 600 miles of the coast frontage (5700 people died). This was the equivalent area, only below the equator, as Oregon/Washington fault zone, along the ring of fire. Four years later, a 9.2 hit Anchorage Alaska area, above the Oregon/Washington fault zone. Between the two area, a silent zone that expelled it’s energy via “creeps” instead of “quakes”, at least according to WPPSS. This was where they wanted to build their nuclear plant. 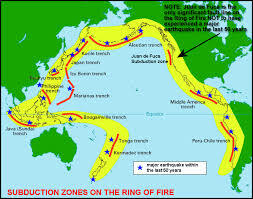 The arrow points to the zone in the ring of fire that was supposedly “different & quiet”. In actuality, research showed Heaton, the creeps were not even occurring. Heaton was concerned that the “zone” might actually be locked up, and instead building pressures toward a huge release. Had it ever happened in the past? i.e. geologic past (decades, centuries ?) Where to look? First, indigenous peoples… what stories did their oral histories record. YES, they did tell of a time when the waters retreated for four days, and then returned to submerge the Cape & the surrounding high areas, until only the mountain tops were above water. It was days for the waters to retreat. Tribal members who had canoes where able to escape the rising waters but were carried for away, according to the story. 1657-1777 “…there was a big flood shortly before the white man’s time, ….a huge tidal wave that struck the Oregon coast not too far back in time… the ocean rose up and huge waves swept and surged across the land. Trees were uprooted and villages were swept away. Indians said they tied their canoes to the top of the trees, and some canoes were torn loose and swept away… After the tidal wave, the Indians told of tree tops filled with limbs and trash and of finding strange canoes in the woods. 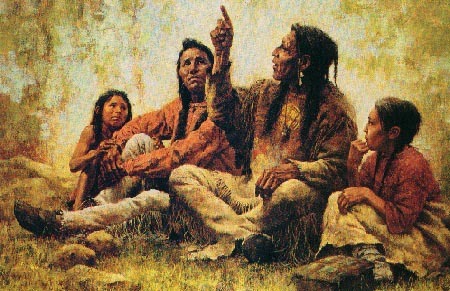 The Indians said the big flood and tidal wave tore up the land and change the rivers. Nobody knows how many Indians died. Beverly Ward, recounting stories told to her around 1930 by Susan Ned, born in 1842. To document the reality, digging was begun, to look at the soil structure beneath the surface. Sure enough, several feet down beneath the soil was a layer of sand that extended several feet down. 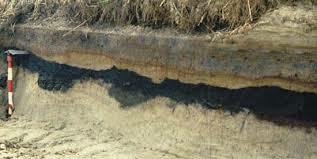 Below that, there was a sharp delineation line where a layer of pure black peat was found. What did that mean? Sand brought in by a tsunami and below that, the black peat was the coastal terrain/swampy area that was above water before the incident. Sharp line means it happened quickly. Brian Atwater (USGS) took over the search and more extensive research was done. An excellent review can be found in Chapter 1 of “The Earth in Turmoil”, by Atwater written in 1999. Researchers found similar layers almost wherever they looked, up and down the coast. While the earthquakes may not travel far in distance side to side (to the east), they did travel north/south! Just how big were these quakes? Land research was followed by core samples from the seabed just offshore, the continental slope, to look for “debris” patterns indicative of earthquakes/tsunamis. Six such patterns were identified quite quickly, indicating a history of significant earthquakes with tsunamis. The last one, close to 300 years ago. The exact date? They went to Japan, who of course, kept excellent records for a much longer period of time than the newcomer westerners knew of. Searching the records, Kenji Satake revealed a “silent tsunami”. A tsunami that occurred without an accompanying earthquake, which matched the data from the Cascadian Quake timeframe. The tusnami that occurred equated to the date of January 26, 1700 around 9pm in the evening, in the range of a 9.0 earthquake along the Cascadian Fault line. 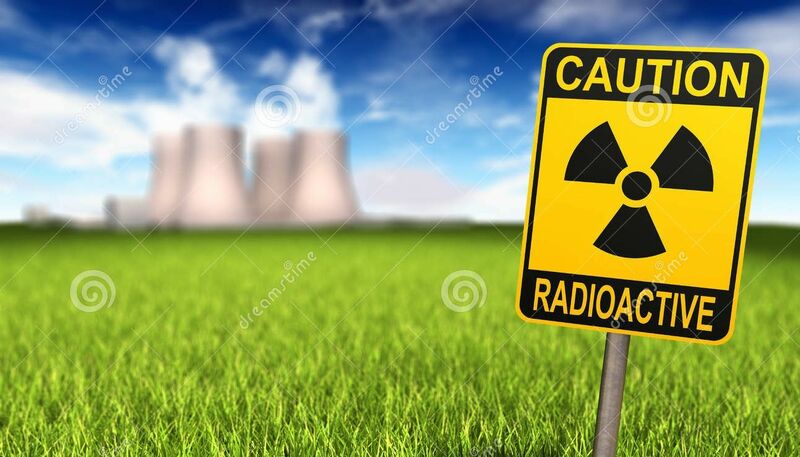 By now the idea of building a nuclear power plant had gone by the wayside. The estimated 8.9-9.2 Earthquake was slightly smaller than the Chilean Eq of 1960 & the Alaskan EQ of 1964, but in the expected range & comparable to past EQ’s. Further research showed there have been at least 12 giant EQ’s in the last 7700 years, occurring on average between 230-700 years apart. Not exactly an everyday occurrence, but nothing to ignore either! Another tidbit that came out was that the Cascadia Fault Zone seemed to trigger off the San Andreas Fault as well. EXCEPT for the 1906 SF EQ, the major EQ’s along the Cascadian Fault appear to trigger EQ’s along the San Andreas Fault Line. Hmmm, nice to know. The Cascadian Fault zone runs from Vancouver B.C. all they way down to N California @ Cape Mendicino, 1000km (630 miles). Below that is the beginning of the San Andreas Fault line that runs the length of California. The Cascadian Fault Zone is where the Juan De Fuca Plate (JDFP) is subducting (which lies just west of the west coast) under the North American Plate… It will eventually disappear completely under the continent, as the Pacific Ocean is shrinking. The Pacific Ocean Plate will then meet up with the North American Plate. 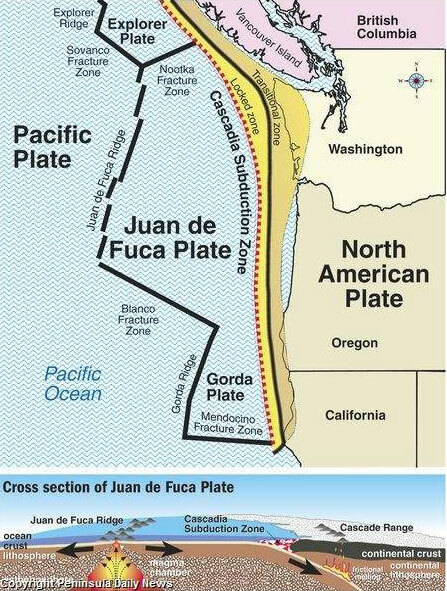 Juan de Fuca Plate is a remnant part of the once-vast Farallon Plate, which is now largely subducted underneath the North American Plate. We have a few islands, called the Farallon Islands named after that disappearing plate, just west of the Golden Gate Bridge entrance. On a clear day you can see them in the distance. They used to be the mountains on the coast to the west of the San Francisco; coast line around 10,000 yrs ago, now submerged with only the peaks showing as islands today. The Farallon Plate has almost completely subducted beneath the western portion of the North American Plate leaving that part of the North American Plate in contact with the Pacific Plate as the San Andreas Fault. But the two plates are shifting past each other, instead of the ocean plate being sub-ducted under the continental plate as it is in Oregon/Washington. San Andreas Fault: transform fault means two plates are sliding along side each other , also called strike-slip, they don’t make or take away land, they just shift positions (north-south). Thus tend to do much less damage unless, of course, you build a major city right smack on top of the fault line! Yes, LA will move up next door to SF, some day… talk about a crowded neighborhood! I vote to move away from the actual fault line (remember California EQ’s damp out really, really fast)…. and localize resources so that disruptions in transportation will not cripple one. The next “big” one in terms of distance & destruction ~ EQ & Tsunami will probably be based off of the Cascadia Fault Zone and trigger the San Andreas Fault. If it just triggers a segment of the zone instead of the whole fault line, we may get off light with just an M8.0 EQ, unless it affect highly populated areas. The Hayward Fault in Berkeley-Hayward is long overdue, but while disastrous, will be relatively localized. Heavily populated with people & businesses it will, still, have far reaching effects. Oregon/Washington Cascade Range (mountains) & active Volcanoes are a result of the JDF plate being sub-ducted under the North American Plate.